What’s up, big guy! So you’re back from your vacation in the Bahamas and you’re ready to get to work! We have to tell you - we really like the way you excel at time management - Christmas is still months away, and look at you! Already back at work and ready to full-time live that HoJo Lyfe! So if you’re really ready to whip that sleigh back into shape, then we’re here to get you ready for a brand new year with this Plus Size Deluxe Classic Santa Suit! 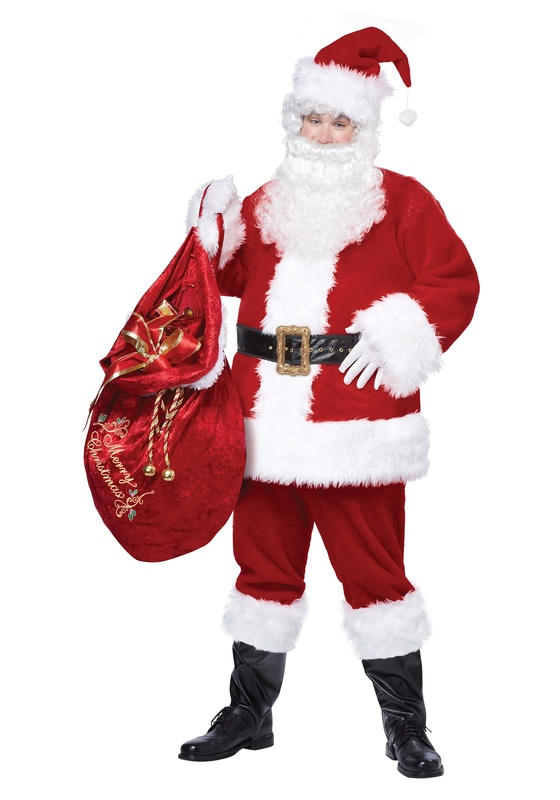 If your Christmas assignment is to portray a certain "right jolly old elf," then you need this Plus Size Deluxe Classic Santa Suit! It includes everything you need to have that classic look! This Plus Size Deluxe Classic Santa Suit is made of 100% polyester velvet, 65% polyester and 35% acrylic faux fur. It features a pullover velvet jacket that fastens with a Velcro tab at the back of the neck, and the jacket also has a fur collar, fur cuffs, a fur hem, and fur center bands! The foam belt has a gold plastic buckle, and the velvet pants have side seam pockets and an elastic waist for a comfortable, functional fit. The foam boot covers have fur cuffs and are secured with an elastic band under the foot. The velvet hat sports a plush white fur band and white fur pompom at the tip. The costume even comes with white interlock gloves! Just add some black shoes and a red velvet sack, and the only thing you’ll need to make this Christmas one for the ages are some elves and tiny reindeer! Ho ho ho, buddy!